Lewisham West & Penge is located in Greater London. It was created in 2010. The current member of parliament is the Labour party’s Jim Dowd, who has served since 2010 (1992-2010 in Lewisham West). I will continue to work as a champion of local community and business groups, taking their issues to Parliament instead of getting lost in the Westminster Village nonsense. I will also hold regular surgeries and street stalls. I can bring fresh thinking and ideas into an area that is buzzing with potential, but that has been let down by an almost invisible MP and two indifferent councils. 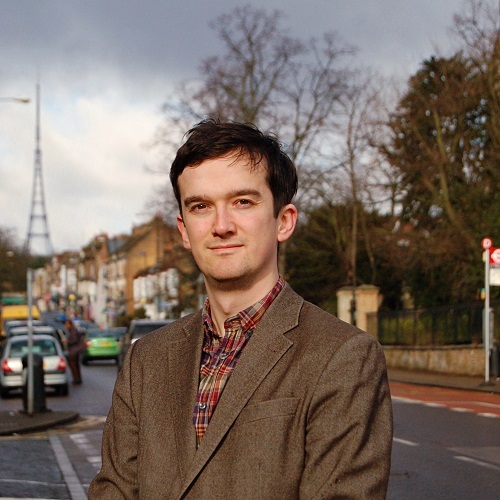 For the past ten years I’ve worked with campaigns and community groups to stop flawed European legislation that would damage small software companies, make Southwark Council adopt the living wage, and get a community land trust off the ground building genuinely affordable homes. I’d like to do all that and more in this constituency. 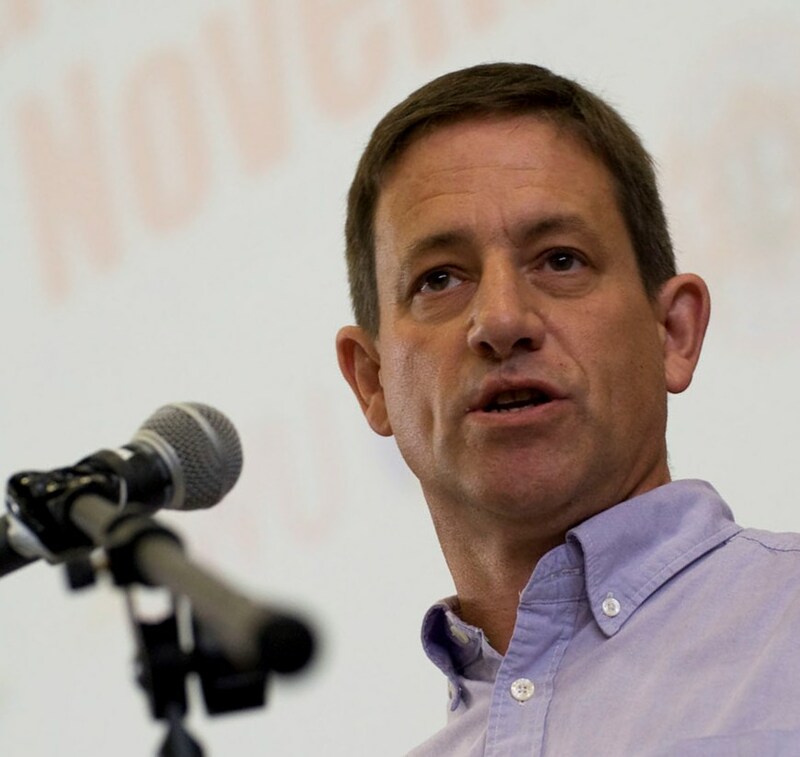 He spoke well for the campaign to save Lewisham Hospital from being downgraded, though he supported the Labour government’s PFI and privatisation policies that created the problems in the first place. Not for the vast majority of people in the constituency, who have been left with frayed public services, housing costs and fares rising far above pay, and a devastating lack of investment in affordable housing. We’ve seen that this government acts in the interests of the 1%. Immigrants have been hugely positive for this area, whether working for our public services or paying taxes towards them. I stand with them against the nasty rhetoric which blames them for a lack of council housing or the shortage of school places, both of which are the fault of governments not migrants. In the long run we need to think about a sustainable population for London, but we shouldn’t be making people feel unwelcome when they join and contribute to our local communities. The Green Party will bring in a compulsory living wage, so that everybody earns enough to build a life on; in London it is currently £9.15 per hour. We would invest in a massive home insulation scheme to reduce energy bills and make our homes warmer and more comfortable. And we would bring housing costs under control with a £19.5bn investment to build 500,000 social rented homes over the five years, along with rent controls and more security of tenure for private renters. I back the NHS Reinstatement Bill, which Green MP Caroline Lucas tabled in Parliament this month. This would roll back the privatisation inflicted on the NHS by successive Conservative, Labour and Lib Dem governments. We would also put a greater emphasis on preventative measures such as reducing air pollution, which is the second biggest cause of premature death, heart disease, asthma and a host of other health problems in London. We need a more balanced economy with more small and medium sized companies able to take on higher quality apprenticeships. One of my concerns is the loss of skilled and semi-skilled manual jobs in London, leaving a lot of people without many opportunities for a meaningful job on a decent wage. The Green Party would immediately help this situation with our huge investments in social housing construction and energy efficiency refurbishments, and in renewable energy manufacture and installation, creating one million green jobs. Yes, Parliament should be more representative of the population across lots of identity issues, which is why I’m proud to be standing for a party that, across London, will have close to 50:50 women and men candidates, and which is making great strides in improving the ethnic diversity of our candidates. I would strongly encourage them to vote against leaving the EU, or to stay in, whichever way it was framed. The EU needs radical reform to democratise it, putting more power into the hands of the elected Parliament instead of the unelected Commission, and to tackle corruption. But we cannot tackle huge problems like climate change and tax avoidance, nor retain strong protections for workers’ rights in a globalised world, if we leave the EU. 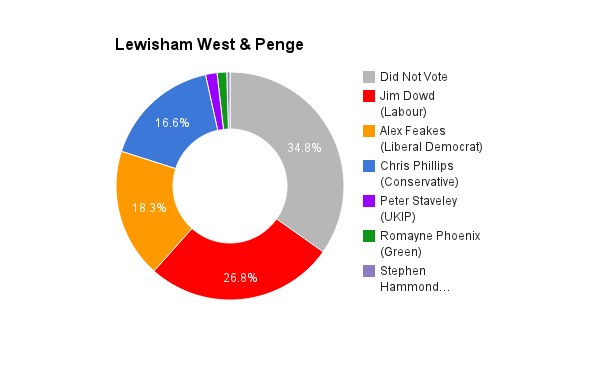 I’ve been living and campaigning in Lewisham West and Penge for over 25 years. I will be an MP for this community, meeting and talking to local people and helping to lead campaigns to defend our jobs and services. I’m also pledging to be “a workers’ MP on a worker’s wage”, staying on my classroom teacher’s salary and using the rest of the MP’s salary to support trade union and anti-cuts campaigns. I’m not just a candidate who makes promises, I am a candidate who has a proven record of leading campaigns – and achieving things for the people I represent. Back in the 1990s, I organised the Penge Anti Poll tax Union, where we showed that organising together could even defeat the Thatcher Government. I have led dozens of campaigns as the Secretary of Lewisham NUT as well as supporting countless individual cases. I would continue with that energy and dedication as a socialist MP. Good question! Jim has dutifully followed the New Labour party line – a Labour Party that I once belonged to and my family helped to build too – but a Party that has forgotten what it once stood for. It’s working for the 1% – and that, of course, is the real aim of austerity. They want to steal away the gains of the past – like the NHS, social housing, comprehensive education, decent jobs and pay – to boost the wealth of the super-rich at the expense of the 99%. For the rest of us, it’s been a disaster, driving people into poverty, cutting services and leaving people without money in their pockets to boost demand. Migrant workers play a crucial role keeping our public services running but government cuts to those services mean that migrants become an easy scapegoat for workers who can’t find the jobs, schools and homes they need. That’s why I would want to lead united campaigns for homes, jobs and school places for all. Profiteers exploit migrant labour to boost their profits and to push down all our wages. So I oppose racist immigration controls but say that it’s crucial that all workers are paid the rate for the job to stop a ‘race to the bottom’ being used to impoverish all workers. First of all, we need a £10 minimum wage now – not the £8 an hour postponed until 2020 offered by New Labour. We need rent controls to stop private landlords ripping off tenants and forcing them to move away from the places where they and their friends and families live – especially in London. We need to nationalise the big companies, especially energy firms, so that we can plan and invest to provide affordable clean energy instead of allowing big business to profiteer at our expense. Stop the cuts, closures and privatisation that threaten the future of the NHS and threaten people’s health and lives. End the PFI ‘Profit from Illness’ schemes and stop TTIP being used to open-up the NHS to more privatisation and asset-stripping by the big multinationals. Extend the NHS to make sure that dental and prescription charges are scrapped and take over the pharmaceutical industry, the pharmacy chains and medical supply industry and integrate them into a democratically controlled NHS. Fight for a better society where poverty – the biggest killer and the greatest cause of ill-health – could become a problem of the past. Launch a crash programme to build the social housing, hospitals and schools that we need. Cut the ridiculous workload facing many workers by enforcing a shorter working week for all workers – but without loss of pay – to allow people to live as well as work. Stop driving up pension ages too so that we can retire on a decent pension at 60 and allow younger workers the opportunities they need. Can all this be paid for? Yes – there’s no shortage of wealth, it’s just in the wrong hands. Parliament and the government should reflect the communities it purports to represent but the electoral system we have doesn’t achieve this. Increasingly, ‘politics’ is seen by many people as the preserve of the wealthy and careerist big business politicians. We need more working class women and men in Parliament, and Black and LGBT voices too, that will speak up for the unrepresented majority who are being hit by cuts and austerity. We need to change the ‘first-past-the-post’ system that protects the big parties and makes it harder for alternative voices to be heard. I’d encourage people to vote ‘NO’ so that we can get out of the bosses’ club that the EU has always been and work for genuine workers’ unity across Europe. That’s very different to the narrow nationalism of UKIP and the Tory right – which I reject entirely. Events in Greece show more than ever that the EU has been constructed to help impose austerity, even when people vote against it. I would campaign for a real alternative that can genuinely bring together the working peoples of Europe and those Governments and parties that are fighting against the dictatorship of the market – in Greece, Spain and elsewhere.